In 1949, the Institute received at its disposal the first research vessel "Vityaz" with a displacement of 5.7 thousand tons. It was a ship specially adapted for oceanographic works, with a name associated with a series of scientific discoveries that made science in Russia famous. At present, the Vityaz operates in Kaliningrad as part of the Museum of the World Ocean. As part of the scientific fleet of the Institute, based in Kaliningrad, three large-tonnage vessels (displacement more than 6 thousand tons) - Academician Mstislav Keldysh, Academician Sergei Vavilov and Academician Ioffe and two medium-tonnage (more than 1 thousand tons) Professor Shtokman "and" Academician Nikolai Strakhov ". The ships are equipped with modern navigation systems, scientific instruments and equipment for complex expeditionary research. In the difficult conditions of the 90s, the Institute managed to fulfill one of the main tasks - preventing the destruction, restoration and modernization of the scientific fleet. 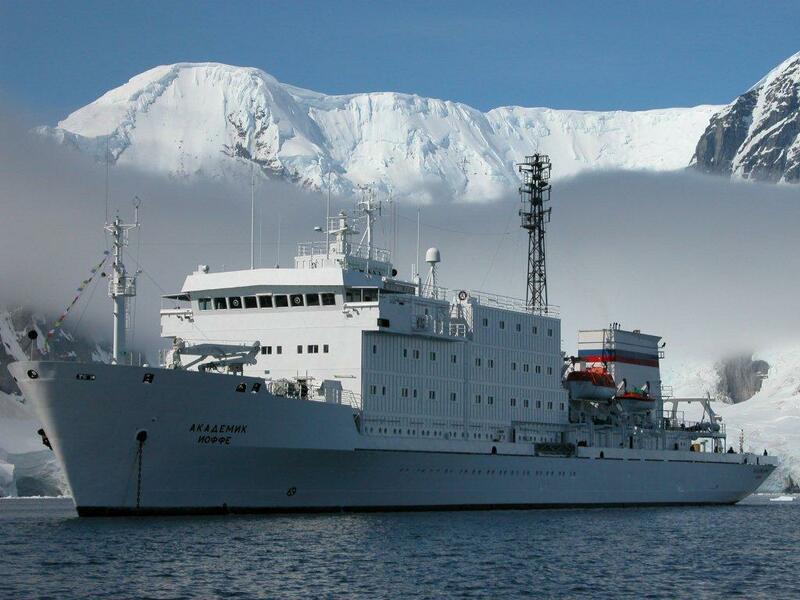 In recent years, the IO RAS has been constantly increasing the number of scientific expeditions on the Institute's vessels. Practically all expeditions are comprehensive and include environmental and ecological issues. FAO Russia has reformed the management system of the research fleet. In the academic sector, the Marine Expeditionary Research Center was established, which centralized the functions related to the repair and maintenance of ships. Center for Marine Expedition Research of the Federal State Budgetary Institution of Science of P. P.Shirshov Institute of Oceanology of the Russian Academy of Sciences (Center for Marine Expedition Research Center) is part of the structure of the Institute of Oceanology. The center is a set of structural units of the Institute, which includes: fleet department, scientific coordination department, data storage department, as well as the Atlantic Fleet Base - RAS and the Pacific Fleet Base - a branch of the IO RAS. The purpose and subject of the Center's activities are to ensure the effective use of the research fleet, to ensure the conduct of marine scientific research organizations belonging to the FANO of Russia, using research vessels, scientific and (or) technological equipment and other technical equipment installed on ships, as well as performing work on organizing and conducting marine expeditionary research for other interested users in the prescribed manner, if this does not prevent the implementation of the Marine Scientific Expedition Plan, agreed upon by the Council for the Earth's Hydrosphere, FANO Russia. The FANO of Russia modernized the system of organization of marine research on the principle of "one window". The Council for the Earth's Hydrosphere created by the agency conducts an expert analysis of applications and forms a schedule of expeditions. As a result, the fleet's load increased significantly. This systemic approach allowed the FANO Russia in 2016 to send an unprecedented amount of 900 million rubles to finance the scientific fleet and marine expeditions. Before the reform of the academic sector, this indicator was several times lower.